What Is the Big Deal About Closed Loop? Closed Loop in the vernacular of motor speed control involves the verification of the motor’s actual speed back to the drive, for automatic adjustment to maintain constant speed under changing motor load, ambient and drive supply voltage conditions. Phew! So what is the big deal about closed loop? There are many applications where speed accuracy and repeatability are critical to the product being produced. Even a few seconds variation in bake time of a pizza can alter the finished product. The same is true for silk-screened product being dried; salt on pretzels or sugar on donuts; parts being coated / painted / heat treated. Closing the loop to a drive used to be accomplished using an analog tach generator installed on the motor that would send a voltage signal proportional to speed back to the drive. Encoders are more often used today to generate 1 to 1000’s of pulses per revolution to close the loop for drives that can handle this digital feedback. 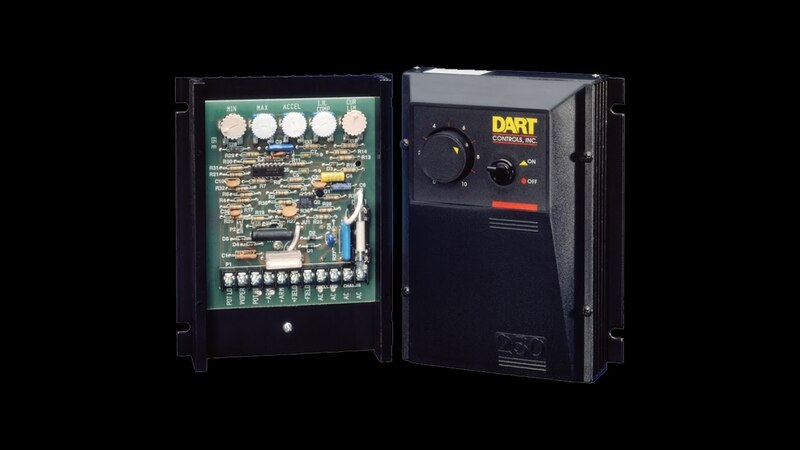 Dart Controls has offered DC drives and drive accessories (Digital Speed Pots) with digital, closed loop accuracy for many years. Our MicroDrive and DP4/ASP Series products have been the OEM design engineer’s / plant operator’s first choice for applications like those mentioned – and many more.